Struggling up the mountainside in a fierce storm, sixteen-year-old Bin-daa-dee-nin tries to survive. The Mescalero Apache has lived off the land in southwestern New Mexico, hunting and raiding since the death of Apache leader Victorio last October 1880. Just before dawn, under a full moon, Bin-daa-dee-nin finds a black-and-white horse whose intelligence and beauty surpass that of any horse he's ever seen. Bin-daa-dee-nin trains the surefooted pinto to run fast on command so that he can use him to hunt and on raids. But when the army attacks, the horse disappears. Fourteen-year-old Sarah Chilton has never felt at home on her family's ranch in New Mexico near Cooke's Peak. At least, not the way she did in Fort Smith, Arkansas, where she lived until just four months ago. Then on Valentine's Day, 1881, Sarah finds the horse of her dreams: a gorgeous pinto, wandering near the river under a bright moon. She names him Moon Dancer and teaches him to jump. Just as she's making wonderful progress with Moon Dancer's training, the Apaches raid the ranch, and Bin-daa-dee-nin has his horse back. Through army battles, Apache raids, and perhaps Moon Dancer's own mysterious desires, the horse changes hands between Sarah and Bin-daa-dee-nin several times. As each puzzles over the training and tricks the other has taught the horse, the boy and girl learn that life requires adaptation and adjustments - and can sometimes bring great joy. 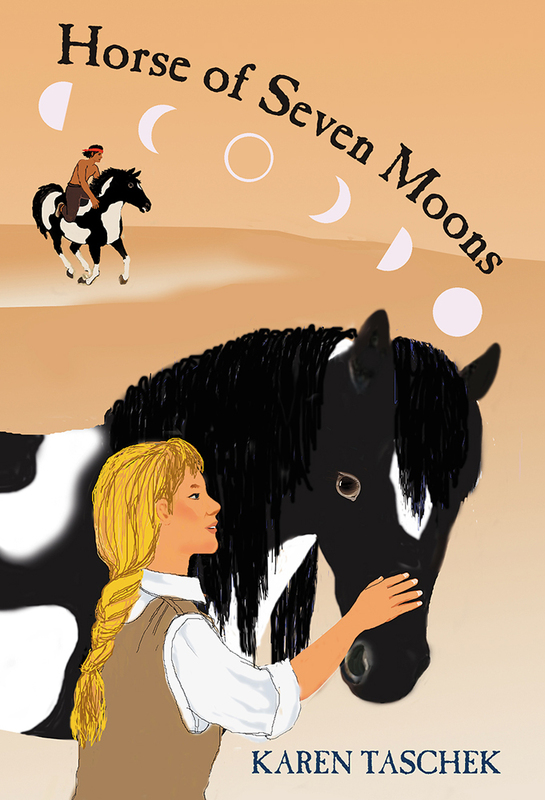 Karen Taschek is the author of fourteen young adult books on horses, including Horse of Seven Moons, the prequel to The Risen Horse. She is the author of Death Stars, Weird Galaxies, and a Quasar-Spangled Universe and Hanging with Bats, and is coeditor for the Barbara Guth Worlds of Wonder Science Series for Young Readers (University of New Mexico Press).